Weddings can be fun to plan. As a Greek Orthodox Christian you are presented with a wonderful opportunity to share the Sacrament of Marriage with your guests and to help them celebrate your union at the reception. 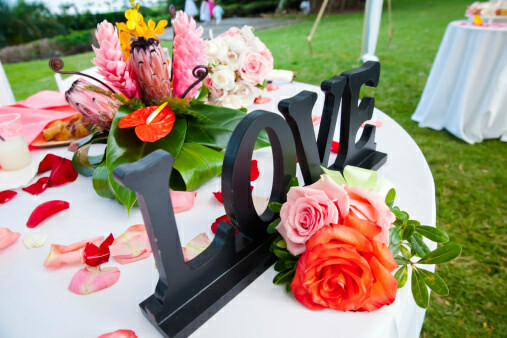 What better way to do this than to select a wedding theme? There are pros and cons to selecting a theme. On the one hand, if your theme is a little far-fetched, finding items to go along with it can get frustrating. However, if you choose one that is fairly universal and has elements that are readily available, a theme can actually make the planning a lot simpler. Once you decide that you actually want a theme for your wedding, your next step is to choose the best one for your wedding. Ancient Greece. One idea is to base your wedding around Ancient Greece. This can include ancient architecture, ancient wedding traditions, and Greek gods and goddesses. Greek colors. Blue and white are the colors of the Greek flag. You can choose a theme that simply revolves around these colors. Modern Greece. Any theme that is inspired by Modern Greece, such as the current landscape, can also be fun. For example, you can name all the tables after Greek islands and decorate the function hall with classic scenes of the Greek landscape. Choosing a Greek theme is an excellent way to show your guests that you have ethnic pride. It can also be fun to put together because it will help you explore your own cultural roots. Just because you are a Greek American doesn’t mean that you need to choose a Greek theme for your wedding. If you love Disney princesses, for example, there is no reason why you can’t have a princess wedding. Basically, you can select any theme you would like because it’s your special day. Here are some questions you can ask yourself that will help you select a theme. Where will the reception be? Often, the function hall will help determine the theme. Some locations will provide inspiration. For example, if you are having your reception on the beach, this is a logical theme to base your whole wedding around. What do you like? As a pair, you very likely have things that you particularly enjoy. 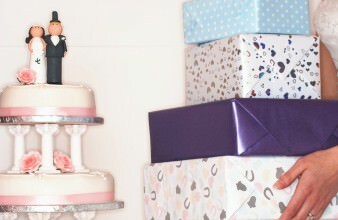 If you love chocolate, for example, you can plan your whole wedding around a chocolate theme. Can you find inspiration? Most of all, finding a great theme requires an open mind. Look through magazines, peruse the internet, and ask others for advice and inspiration. You could find your wedding theme in the most unlikely of places. Remember that selecting a wedding theme should be fun. You want to select something that you feel defines you as a couple. Not only that, but you will want to make sure it will be easy for which to find materials and to execute. 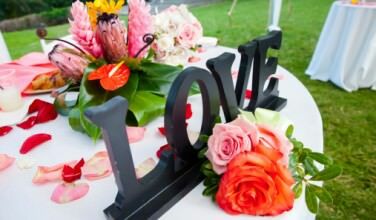 Overall, your wedding theme will help you plan the wedding and also enable your guests to have a great time. 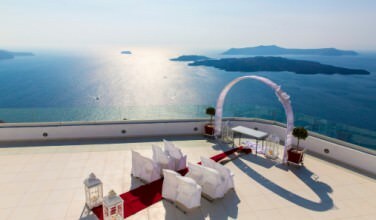 Should You Get Married in Greece?